What's the difference between Tex and Thibra? Thibra and Tex compliment each other (as seen in this tutorial). Each of them are sculptable thermoplastic materials that stick together when heated. Each product has its strengths: namely that Thibra Tex (blue) is ideal for larger pieces that require mesh support, while original Thibra Fine (tan) is best for details and smaller pieces. A moldable thermoplastic sheet with a mesh to ensure that it doesn’t tear during processing. Very durable and can be heated over and over again. Surface can be sanded and painted. Sticks to itself and foams. Usable for your art and industrial design projects. Can be corrected and scraps can be reused. 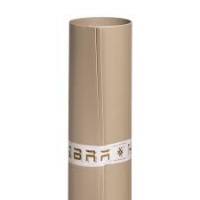 Similar to the original Thibra, but with a mesh that ensures greater stability and durability when processing. Rigid and lightweight surface. Best for larger projects that require a stronger more durable finished product. Our thermoplastic sheet material with extraordinary characteristics. Very smooth and usable for creating double curved shapes, for extreme forms and sphere shaped objects. Thibra allows you to make corrections or improvements as it can be reheated again. All scraps can be stored and used again. Great for detailed, freeform sculpting of accent pieces or complex shapes. Great for small to medium sized projects that require greater fine detail. Perfect for projects that you'd like to heat, reheat and rework multiple times. Download our beginner level tutorial for the Thibra/Tex Cuff by clicking below. Please feel free to use this content for an inexpensive, hands-on class idea for your store.